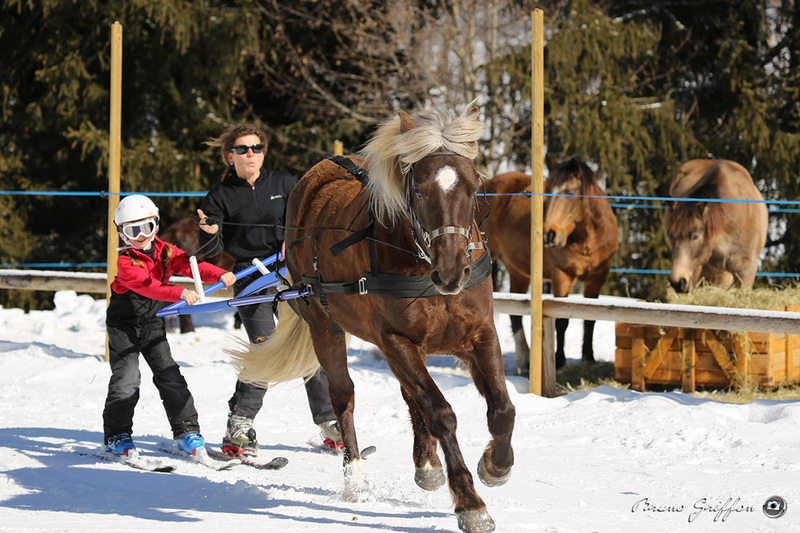 The children will love to ride a poney or enjoy pulled along on a sledge behind a poney, guided with an adult through the snow. Make yourself discover the ride on the back of a pony along a suitable route. Dress and warm up. Ski-joëring is a genuine winter sport : a combination of skiing and riding. Endulge in the magic of winter. In order to be able to enjoy this sport, you simply need a ski level equivalent to 1 star. An initiation in the arena to understand the basics and then you are off! on a safe and wonderful itinerary ! If you are looking for a challege, why not try the slalom, jumps and the race ! Come and enjoy a ride in the middle of the pine trees, with their branches full of snow, and canters when possible. Reserve by the hour, half or full day.